LOST IN SPACE MONSTER � ULTRA-RARE RESIN MODEL - Before the Enterprise ever cruised the tube at warp speed, another fabulous Earth ship blasted through space on a weekly intergalactic odyssey. The ship was the Jupiter-2, carrying a pilot, a family, a saboteur, and a robot, all soon to be hopelessly "Lost In Space" for three colorful seasons. 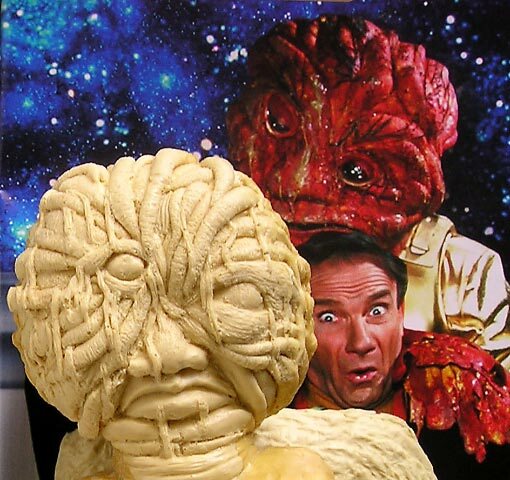 Lucky for us too, as the infamous Sci-fi series offered its viewers a dazzling array of otherworldly adventures, complete with a cavalcade of cosmic creatures... like this one. 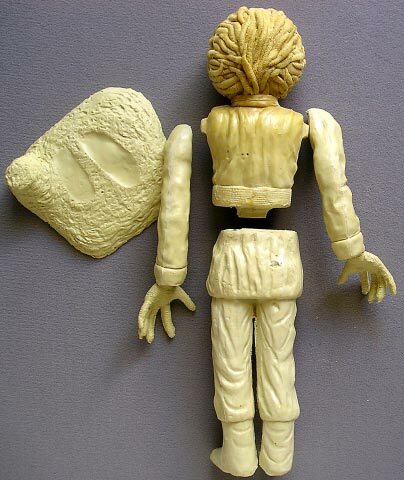 Here is one of the show's gooey outer space aliens, lovingly rendered as a resin model figure from many moons ago. The kit dates back to the early '90's, when New Jersey-based sculptor Charlie Stoddard produced a series of fun garage kits through his company Plastic Age Concepts. 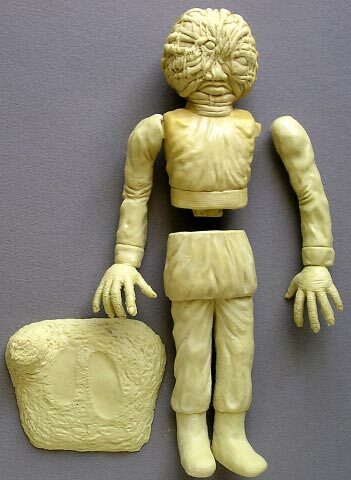 His Lost in Space monster is 1/6 scale, standing 12 1/2" tall when assembled, including its rocky terrain display base. All parts are cleanly cast in solid off-white resin, assembling easily to build the clutching extraterrestrial. 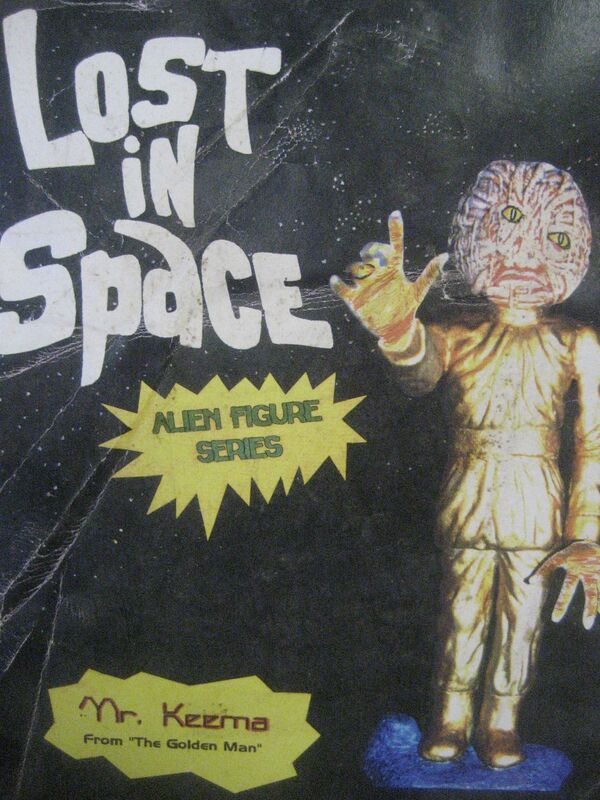 Although Lost In Space has remained hugely popular for over 40 years now, figures of its many monsters are as rare as landing on Alpha Centauri. An ultra obscure invader, on this planet, or any other, this one's complete, unbuilt, and packaged in its original box, just waiting to visit your world.